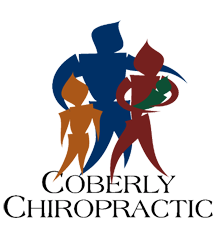 4 Powerful Ways Yoga Increases the Effectiveness of Chiropractic Care – Coberly Chiropractic, Inc.
Yoga hasn’t taken the world by storm, but it has gained steadily in popularity in the last decade. Originally developed thousands of years ago, the practice of breathing, posing, and stretching offers a variety of important health benefits. Reduced stress and blood pressure, increased flexibility and stamina, greater balance, and a better understanding of breathing techniques are all fabulous results of practicing yoga. Depending on the severity of the individual’s specific condition, chiropractic patients may need several visits to "prep" their bodies before the main issue can even be addressed. Yoga sessions increase a body’s flexibility and help with the range of motion in the neck, back, hips, and other joints. By going into a chiropractic treatment equipped with better range of motion, the patient is more pliable, and the visit is able to offer more in-depth adjustments, for greater results.